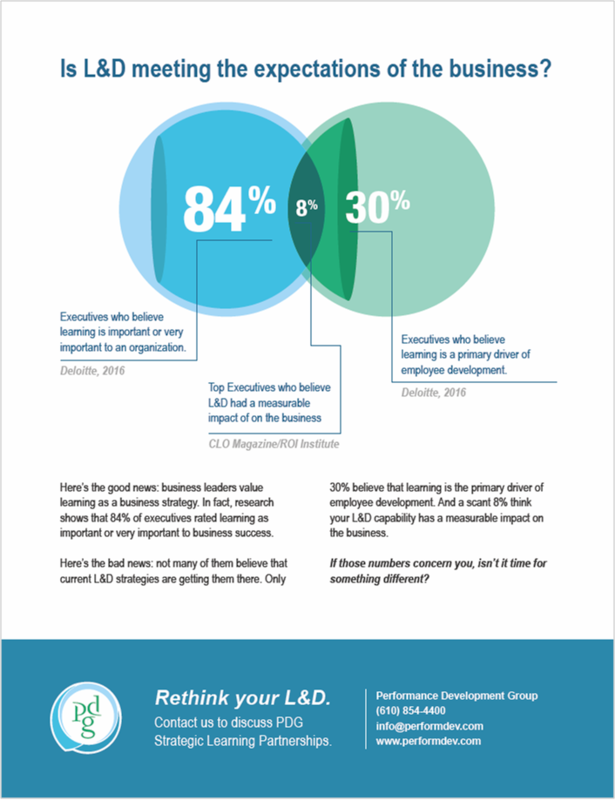 Do the leaders of your business value learning? Do they believe that learning will get them the results they need? Learn the surprising truth in this PDG infographic-- and then learn what you can do about it.